The Puig Extendable Foldable Brake Lever 2.0 is a beautiful update to an already incredible lever. 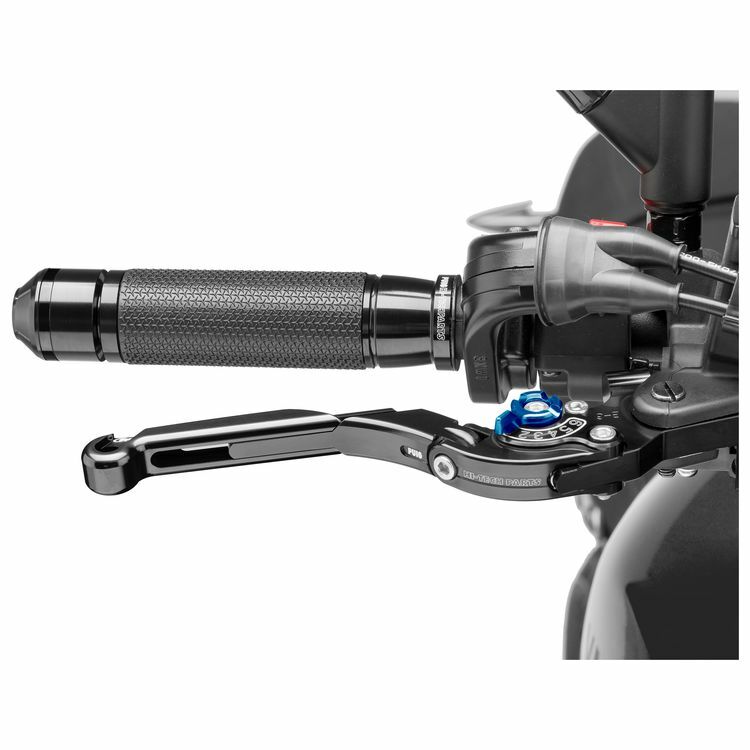 These levers feature both a length-adjustable lever wing and a six-position grab distance adjuster in addition to the damage-preventing folding action. The Puig 2.0 levers are machined form billet aluminum and feature laser etched accents that give them a decidedly hi-tech look. Note: Aftermarket grip not included.